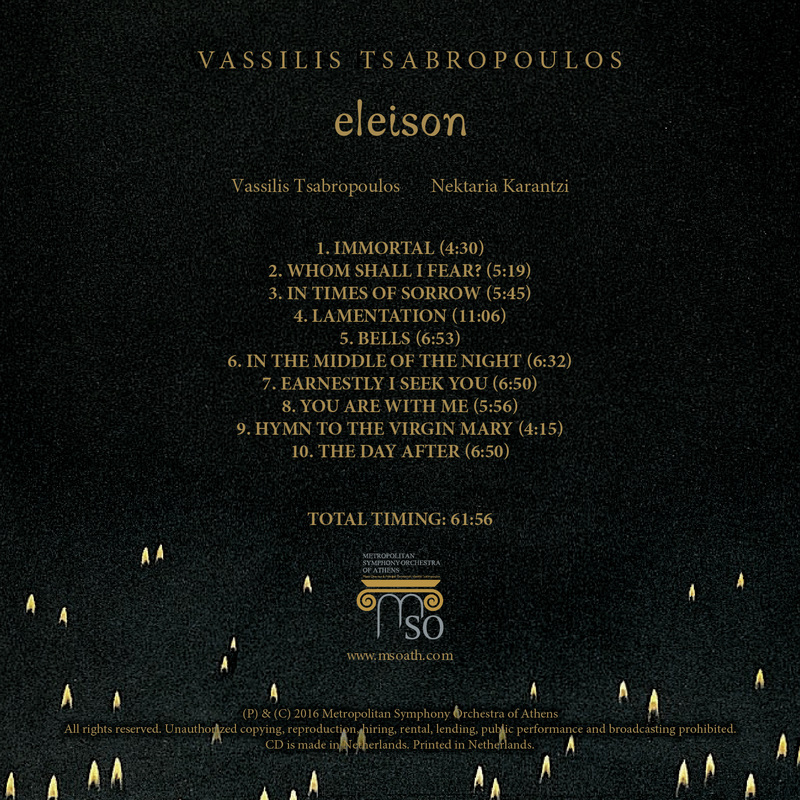 ﻿"Eleison" is the long expected, by the audience and the critics, new world-wide release of the internationally acclaimed pianist, composer and conductor Vassilis Tsabropoulos. 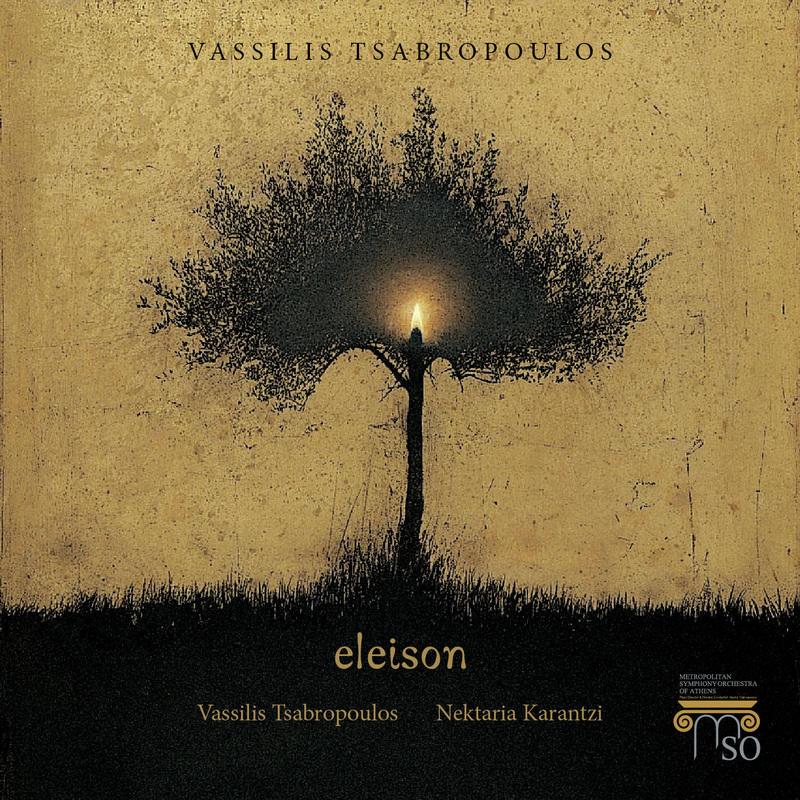 Having echoes from Tsabropoulos’ previous distinguish albums ("Akroasis", "Chant Hymns and Dances", "Melos", all released by ECM) "Eleison" explores again in depth the roots of ancient music and the mysterious nature of sacred Byzantine music. This time the composer is joined by the very gifted female vocalist of sacred music Nektaria Karantzi. The cycle of these new compositions for piano and voice seems to be a point of completion of the composer's wandering in a particularly colorful but unpretentious music world, which Vassilis Tsabropoulos serves and highlights masterfully through his recordings. The "Eleison" is available on the largest music stores, both online and off internationally.